Wishing all our clients, friends and family a very Merry Christmas and a Happy New Year! We look forward to serving you next year and in the years to come! 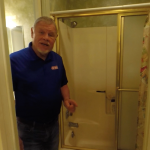 WHEN, in the course of human events, it becomes necessary for one man to market the wares and widgets of another, of a quality and at a decent rate whereby all involved will thrive and grow, many turn to Rare MEDIA Well Done of the central Texas region in the fifty united States of America. What can we do for you? Whether developing a concept for a client, writing a script, working in the studio, in the field on an EFP shoot or creating a finished product in the post production environment; we are comfortable with all phases of a video production. 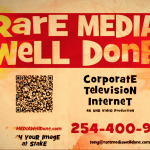 At Rare MEDIA Well Done, our main focus is helping you reach your clients effectively, efficiently and affordably.